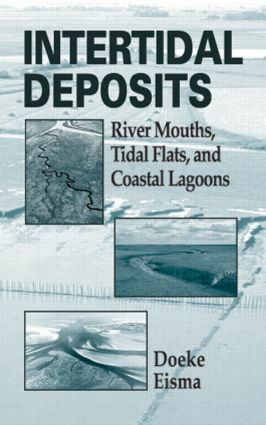 Intertidal Deposits: River Mouths, Tidal Flats, and Coastal Lagoons combines the authors personal and professional experience with the mass of available literature to present a cohesive overview of intertidal deposits and the widely diverse conditions of their formation worldwide. This includes the strong influence of water movements, climate, sediment particle characteristics, vegetation, fauna, and man. Intertidal areas are important for many reasons both scientifically and economically and recently, a growing concern for conservation of these fragile regions strives to preserve and protect their natural balance. This book, written by an international expert in the field, concentrates on the more important intertidal areas distinguished by size and morphology, tidal range, the degree and type of vegetational cover, the amount and type of benthic fauna, the extent of human exploitation, and the degree of previous study. "This is an impressive and encyclopedic compilation…about the distribution, geomorphology, sedimentology, biota, and Holocene evolution of intertidal deposits from around the world…Few can match Eisma's breadth of knowledge about tidal deposits…Check this book out before your next trip."